Cloud Storage provides an online space for storing any type of file, like images, videos or backup from your computer via web interface or special software. Files uploaded on cloud storage is replicated automatically by the system and are therefore is considered to be safer considering the chance of accidental physical deletion than the conventional storage systems. In addition, these replicas in many Cloud Storage services are distributed across multiple data centers usually worldworld, making the data loss practically impossible. Previously we discussed on architecture and technology of Cloud Storage, which can be correlated by the reader with this article for better understanding. If the requirement that we have is to not invest huge or dedicatedly in a storage solution, then the cloud storage is definitely a great solution, instead of the need to buy a dedicated system which can be used for the storage of files. Usage of Cloud Storage is easy, create an account and use it according to our needs, without worrying about or really knowing what is happening in the real platform. On the other hand, with a dedicated system, we must provide the backup file system to be on, to a second server,and take a set of protections for the data. Cloud storage is also a necessary solution if we are in need to make some files available not only from the web with a GET request, but also with other protocols such as via API; most of the Cloud Storage Services allows the access via RESTful API, this means that the upload of a file on these Cloud Storage can be done directly using a PHP script for example or a CMS that uses PHP like WordPress (just a single example). 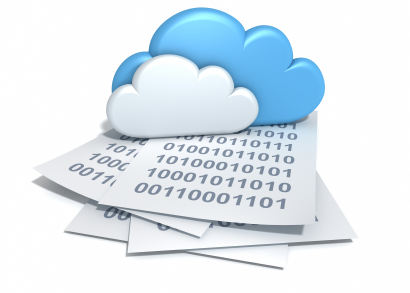 When not to use cloud storage service ? Just when we need a very fast storage like in case of Content Delivery Network, a Content Delivery Network or CDN is not just Cloud Storage but a CDN can double up as a Cloud Storage. All cloud storage services are in fact useful to save static files, but with current technology, it is not possible to server dynamic web pages. As by architecture these Cloud Storage Services are shared in nature, for highly sensitive data, shared Cloud Storage is not suitable. Unmanaged Rackspace Cloud Server costs lesser because only the pay-as-you-go charges are calculated.But unmanaged is neither intended for all nor for all usage. Cite this article as: Abhishek Ghosh, "Cloud Storage : When to Use it to Store and Serve Your Files Online," in The Customize Windows, November 30, 2012, April 25, 2019, https://thecustomizewindows.com/2012/11/cloud-storage-when-to-use-it-to-store-and-serve-your-files-online/.